Continuing the tariff hike and reduce freebies trend BSNL will be withdrawing nine Combo STVs. At the same time, three STVs will be regularized and two promotional offers would be introduced. The combo vouchers that are being withdrawn were providing host of benefits like free SMS, data and reduced call rates. The vouchers which are being regularized and the promotional combos do not offersame kind of benefits. The above changes will be effective on 21 July 2014. BSNL had earlier revised popular Voice STVs. 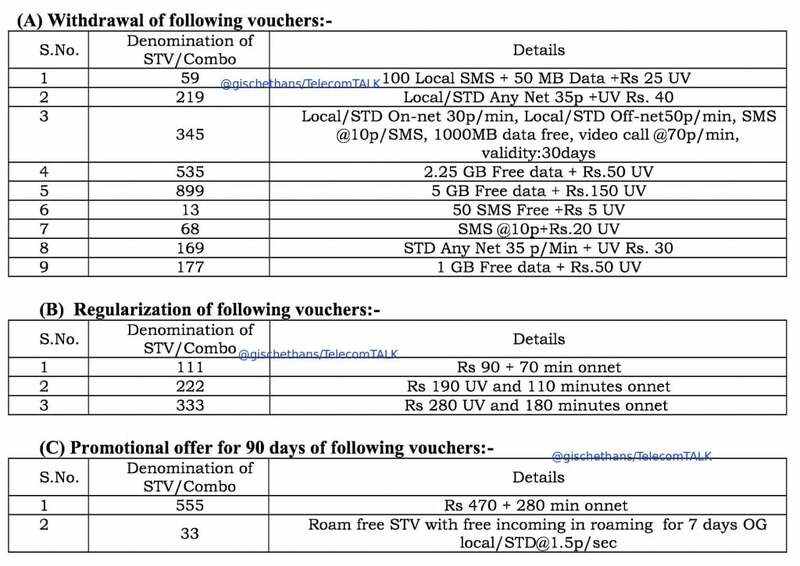 It remains to be seen as to what BSNL will be introducing to offset these STV/Combo voucher withdrawals and revisions. Was @VodafoneIN twitter handle hacked this afternoon? soye hua logoko kyo jagana, Isee vajah se hum 50 year piche chal rahe hai.. Sarkari company always late chalati hai. PVT COMPANY lounch DTH, 4G service wireless. but ye…. sabka hone ke badh.. karege Late current kuch fast nahi hai.. Ache din Aane wale hai! Honerable Prime Minister Jine Kaha! Lekin BSNL ki vajahse customer ke liye kub Acche din aayege! ye to Ram hi Jane? please Jago india JOgo world kaha ja raha hai… aur hamari BSNL kaha ja rahi hai! please check and take fast decision to Desh ke liye kuch Karo?